Visit YIA Gallery this Summer to explore a world inspired by kids’ on the autism spectrum. 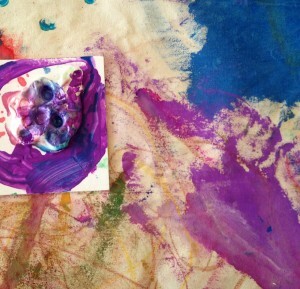 Experience drawings, paintings and sculptures from students aged 3 – 20 from Marindale Preschool in San Rafael and Oak Hill School in San Anselmo. Regular hours 11 a.m.-4 p.m., Monday-Friday. Open 5-8 p.m. for “2nd Fridays Art Walk Downtown” on Friday, July 8. Free tours are available weekday for school and youth groups by appointment only. Youth in Arts has a long history of working with youth on the autism spectrum, and with similar learning differences, in settings ranging from preschools to post-high school programs. We were selected in 1981 as a Kennedy Center VSA (formerly Very Special Arts) site, and we are still the only provider of arts education in Marin County Office of Education Special Day and SH Classrooms. We now call our programs serving students with special needs “Arts Unite Us,” and we are committed to bringing together people of all abilities through the arts.